White 20 lb. paper features reinforced holes that resist tearing. Paper is graph ruled to deliver plenty of space for notetaking. 10-1/2" x 8" sheet size. 100 sheets per pack. 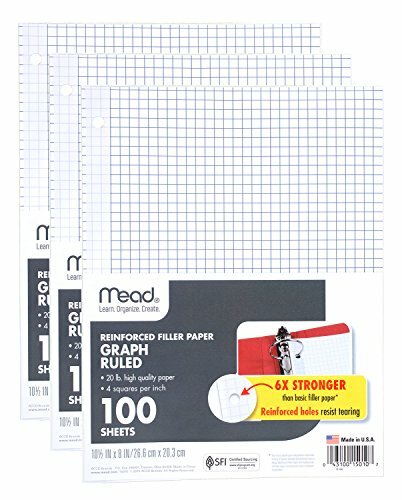 Three pack includes a total of 300 sheets.